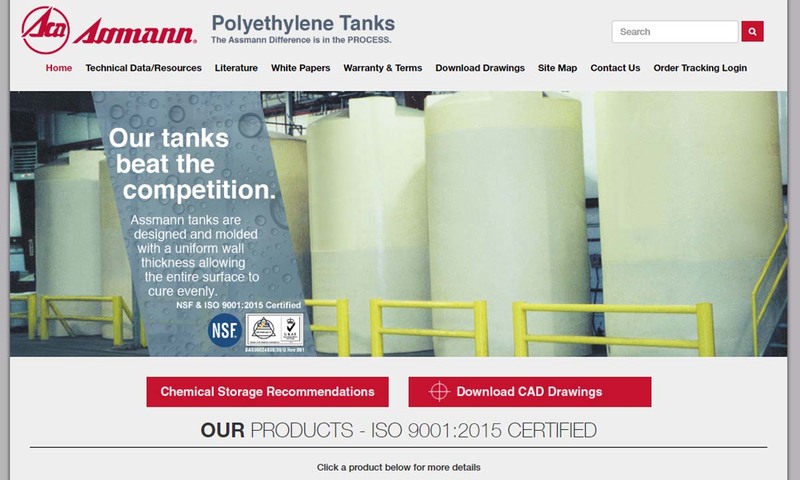 A reliable source for Plastic Tanks information and a resource for accessing leading Plastic Tanks and suppliers. Plastic Tanks Plastic tanks can be defined as containment vessels that are designed to store different kinds of substances. Our plastic tanks are backed by decades of research and industry knowledge. We also constantly look for new innovations that improve our tanks without adding additional costs to our customers. Specializing in fabricated plastic tanks such as water tanks, polypropylene tanks, polyethylene tanks and storage tanks, Park Plastic Products is capable of making your plastic tank in any size or dimension. 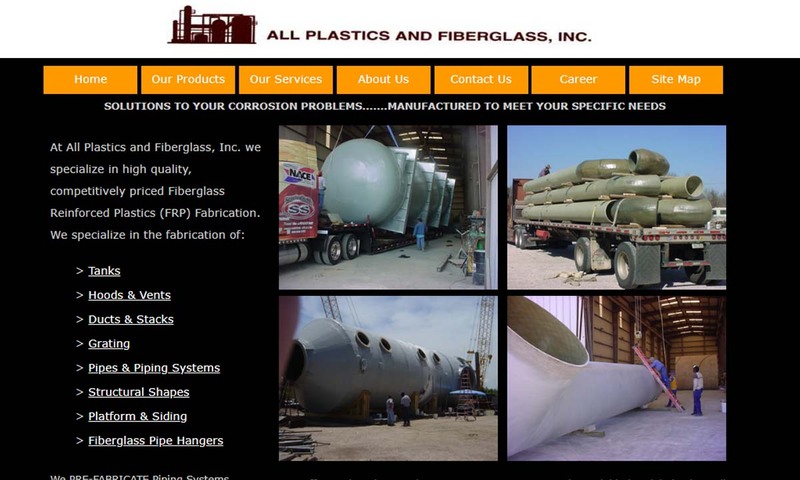 With over 100 years combined experience, All Plastics and Fiberglass has the experience to handle all your plastic and fiberglass needs. 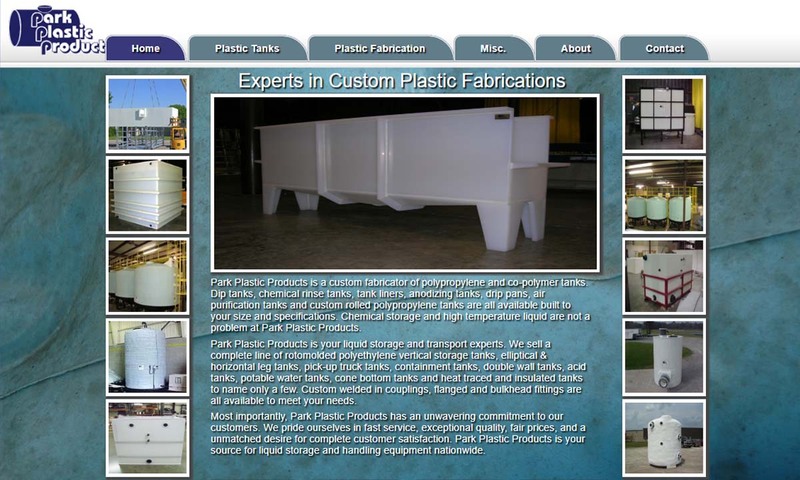 Sterling is a leader in the design and fabrication of plastic tanks. We set ourselves apart from the competition because of our ability to manufacture your product quickly and deliver it on time. In business since 1987, Douglas Tank Sales provides tank installation, tank removal and the best new or pre-owned equipment all with quality personal attention. Sherman Roto Tank specializes in tanks that are manufactured to be suitable to store and process chemicals. 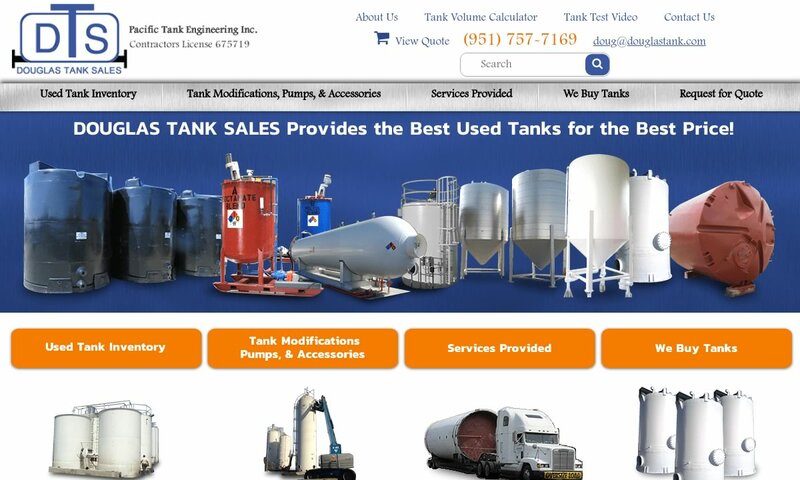 Our tanks are a great choice for any industry. All our products go through extensive testing in order to surpass the industry standards. Plastic tanks are used for a wide variety of material storage and transportation applications. For example, the agricultural industry uses plastic tanks to assist in irrigation and fertilization systems. The petrochemical industry uses them for the transportation and storage of oil and gas. Some of the many industries that use plastic tanks include: gas and oil, agriculture, water treatment, chemical, food and beverage, recycling, industrial parts washing, manufacturing and electroplating. Tanks made of materials such as stone, ceramic and wood have been in use for thousands of years. For example, the Indus Valley Civilization, which existed between 3000 and 1500 BC, used tanks to store water and grain. Also, medieval Europeans stocked their castles with water tanks in case of siege. Plastic tanks, on the other hand, have really only been in use since the mid-20th century. Plastic was synthesized starting in the 1800s, but could not be used for tank fabrication until the right technology came along. The right technology arrived in the 1960s, when engineers developed the first viable rotational plastic molding process. This process gave manufacturers a way to fabricate large hollow containers, which they first made using low-density polyethylene. In the last 50 years or so, engineers and chemists have respectively come up with improved processes and new plastic compounds. This has allowed the plastic tank industry to grow and diversify. Today, plastic tank manufacturers and suppliers have turned their eyes to sustainability. Fortunately, plastic tanks are recyclable. Still, the industry is searching for ways to lessen their environmental impact and support a healthy earth. Plastic tanks are made via either rotary molding or plastic injection molding. Typically, manufacturers begin the process by creating a stainless steel canister-shaped mold. The mold details are mapped out on the computer. They then fill the canister mold with plastic granules or powder, seal it and rotate it over a heat source. This allows the plastic material to melt into the mold. Manufacturers then allow the plastic to harden and cool. Once done, they open up the canister to reveal the tank inside. To vary tank thickness, manufacturers just use more or less plastic material. The most common types of materials used to fabricate plastic tanks are polyethylene (PE), polypropylene (PP), and fiberglass reinforced plastic (FRP). Types of polyethylene that are used include high density polyethylene HDPE, low density polyethylene (LDPE), medium density polyethylene (MDPE), linear low-density polyethylene (linear polyethylene) (LLDPE) and cross-linked polyethylene (XLPE). They may also use other plastics, like polyvinyl chloride (PVC) or polyvinylidene chloride (PVDF). Every plastic type offers different degrees of common plastic qualities, like corrosion resistance, impact resistance, sterility, durability, chemical resistance, hardness, etc. Manufacturers will choose a plastic tank material based on your application requirements. If the tank you need is not available on the standard market, custom manufacturing may be the right choice for you. 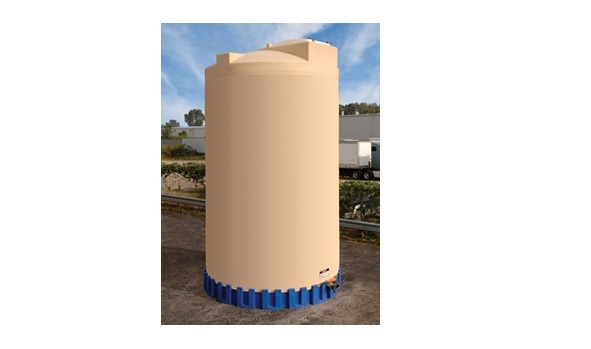 Custom plastic tanks are available in a wide range of configurations, orientations (horizontal or vertical), colors, shapes, and sizes, so they adequately perform their required functions. Manufacturers can even install translucent tank walls, so that users can monitor tank contents. In terms of size, plastic tanks can range anywhere from 15 gallons to 16,000 gallons. A few types of plastic tanks that are mainly defined by the material they contain are: water tanks, plastic fuel tanks, chemical tanks, and plastic oil tanks. Examples of tanks categorized by their material makeup include: polyethylene tanks, polypropylene tanks and FRP tanks. Finally, a few of the most common examples of tanks in the third category are: septic tanks, storage tanks, double wall tanks and cone bottom tanks. The water tank is used specifically as a water storage tank, for applications like in-home drinking water storage and fire-extinguishing water storage. Plastic water tanks can be fabricated from numerous materials, the most common of which is PE. Other materials that can be used to fabricate water tanks are PP, PVC, and PVDF. Water tanks are most commonly made using PE because of the lightweight and chemical-resistant nature of the material. Water tanks storing water for human consumption need to be food grade. Plastic fuel tanks are used for transporting and storing flammable substances, and gauging substance levels in the engine, making it a helpful component in anticipating a harmful situation. Plastic fuel tanks are most commonly fabricated from five different materials: high-density polyethylene (HDPE), PP, regrind plastic (recycled polyethylene), and a plastic adhesive or ethyl vinyl alcohol (EVOH). Chemical tanks are used to store aggressive or highly reactive chemicals, such as sulphuric acid. 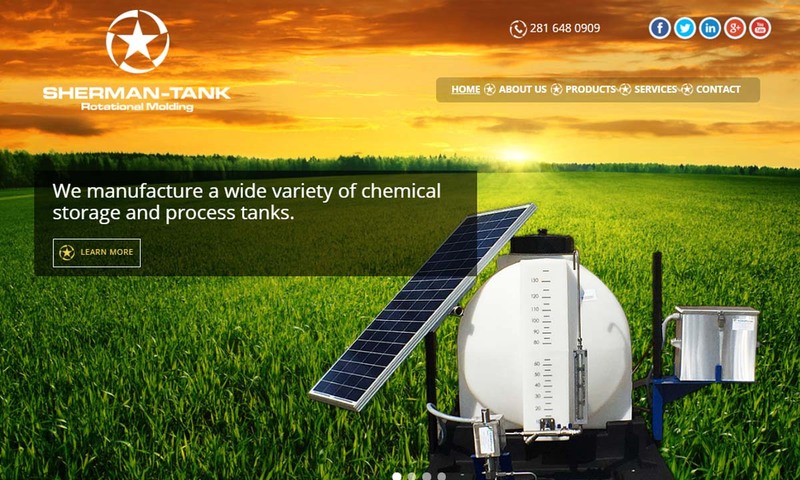 Plastic tank manufacturers construct chemical tanks, also known as chemical storage tanks, with interiors and fittings that resist reaction and corrosion. Plastic oil tanks are similar to plastic fuel tanks, but the materials they are made from are different materials. Those materials that manufacturers most commonly use to fabricate them include: fiberglass reinforced plastic (also referred to as glass reinforced plastic), or FRP, and molded polyethylene. Polyethylene tanks are versatile and used for non-pressure storage of all sorts of liquid, chemicals and solids, including: alkalis, acids, water and solvents. Polyethylene is typically UV-treated, making these tanks exceptionally durable, and food grade approved, so that they can be used to store water. Polypropylene tanks are resistant to heat (melting point 320℉), moisture, chemicals and other corrosive materials. They are also durable, lightweight and rigid. One of the places they are most popular is in stainless steel processing plants. The most common material that FRP tanks are made of is glass-reinforced plastic, or GRP. Being a Food and Drug Administration-approved material, FRP tanks are primarily used in food processing. The purpose of septic tanks is much more specialized, as they are designed to store substances used in the process of sewage treatment. The two basic parts of a plastic septic tank system are the septic tank itself and a drain field. Together they make an on-site sewage treatment system. Plastic storage tanks are simply used to store things. Storage is an application that can be found in almost every industry, making storage a highly diverse application. For this reason, storage tanks can be designed in countless configurations. Double-wall tanks feature an exterior that is reinforced with an extra layer of plastic, giving the tank its name. This extra layer of plastic provides further safety and prevents leaks during the storage, transportation, and aggressive processing of materials. For this reason, double wall tanks are used to store hazardous waste and other potentially harmful materials. Cone bottom tanks are named after their bottom end, which is angled and pointed like a cone. Their goals are to 1) simplify the distribution process from the bottom of the tank, and 2) make the tank drainage process more efficient. There are many reasons to choose plastic tanks over alternatives. First, plastic is less likely than others, like metals, to react to whatever liquid is stored inside the tank. This is especially important if the tanks are to store aggressive chemicals such caustics and acids, which are used for industrial chemical applications. Second, most plastic tanks can be recycled or, at the very least, repurposed. For example, old plastic tanks can be converted into outdoor trash bins or barriers. Third, plastic tanks are versatile in their design and characteristic possibilities. Finally, they are made with precision, uniformity and strength. Depending on tank type and tank application, it may be worth your while to invest in some accessories. Sometimes, to help adapt your tank to its new function, you may want to purchase fittings. For water storage applications, valves can help you control flow. For draining or feeding, you should look into hoses. Examples of other accessories that may interest you include: tie down kits, pumps, rainwater collection adaptors, lids or manways, precision gauges, siphon tubes, strainer baskets, restraints and float valves. Tank installation procedures vary by the details of the installation site, such as whether it is above or below ground. They also vary by application. For example, do you require easy access to the contents? That impacts where you place your tank. One universal installation requirement is that you put the tank in a safe position. Likewise, always use the right tools, so as to avoid distortion. Your tank should come with instructions on how to install it or mount it. For the most comprehensive advice, we recommend you consult with your supplier. If you take care of them, plastic tanks can last a long time. Keep reading for a few tips on how to do just that. The standards to which your plastic tank must adhere depending on your application, industry and region. For example, in the United States, if your tank will hold petroleum, it needs to meet standards put out by American Petroleum Institute (API). If your tank will otherwise hold flammable liquids, it should meet the standards outlined by the National Fire Protection Association (NFPA). Other common organization standards that the government and various industries use as a guide include those put out by: Underwriters Laboratories (UL), Americation National Standards Institute (ANSI), American Society of Mechanical Engineers (ASME) and American Society for Testing and Materials (ASTM). Before agreeing to work with any supplier or manufacturer, make sure that they can meet your specifications and that they have a reputation for excellent customer service.  For a manufacturer like this, check out the companies we detail on this page. All of those with whom we partner have been proven in the field. Learn more about each of them by checking out their profiles and going to their respective webpages.